¡El taller se podrá seguir en línea en directo al siguiente enlace! 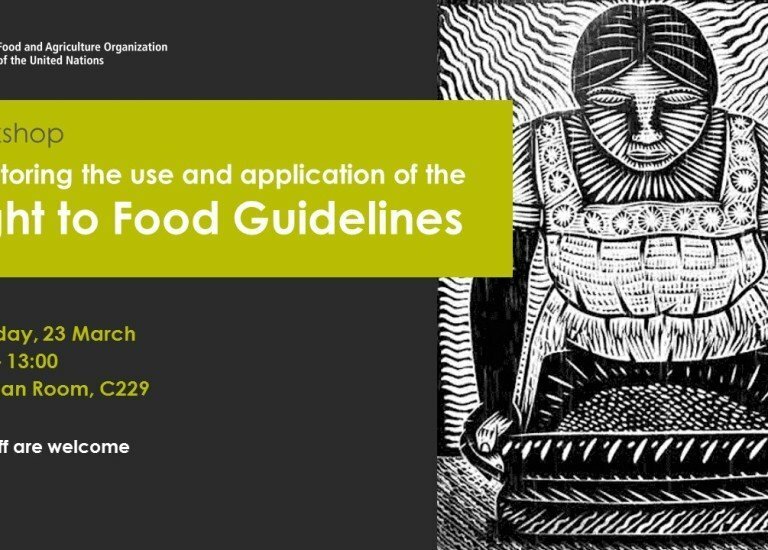 • What have been the achievements, challenges and gaps in using the Right to Food Guidelines in your context? • How have you ensured participation for right to food policy making and monitoring? And how has this contributed towards fostering accountability? • How could the implementation of the progressive realization of the right to food be strengthened? Which approaches and tools have a proven positive effect and can be used for further progress? • What kind of support should Rome‐based Agencies andUN human rights bodies provide to governments and other actors to foster the use of the Right to Food Guidelines?